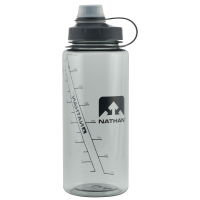 Easy to wash, ice-cube ready, and featuring a soft touch lid, the Nathan BigShot lets you carry enough water to get you through the day. BPA-free. Taste-free. Ice-cube ready. Large screw-top lid.  Dishwasher safe . 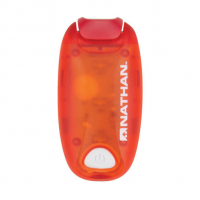 Nathan Insulated Soft Flask - 18 fl. oz. 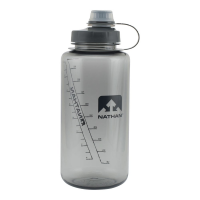 Designed to keep you hydrated on the move, the Nathan insulated soft flask provides big-time insulation for big-time thirst, keeping your H2O cool for mile after mile. The Nathan Nebula Fire headlamp has a powerful LED that disperses light in the distance and proximally, so you can see what's at your feet and what's ahead as you run. Designed specifically for runners, the Nathan Neutron Fire is a lightweight 115-lumen headlamp featuring side strobes with 3 color options to adapt to the environment wherever you run. An adjustable hand strap makes it easy to carry the running-specific Nathan Zephyr Fire 100 hand torch effortlessly in either hand. See and be seen while running or walking at night with this compact, powerful hand torch. It provides full illumination of the path ahead and high-intensity LED strobes to help you be seen by others. If your forehead is not fond of having a headlamp strapped to it, reach for the Nathan Zephyr Trail 200 hand torch. 200 lumens of brilliant light will keep you running long and fast into the night.